BOTEZAN, A. , TIRNOVAN, R. , MUNTEANU, R. , GRAUR, A. , RAFIROIU, D.
The paper presents the hysteresis current control of the voltage source inverter. The eMEGAsim real-time simulator is developed by OPAL-RT. Real-time simulation is used in many cases because it allows the behavior of the industrial processes operation to be determined. Two research directions are developed in this case, Rapid Control Prototyping and Hardware-In-the-Loop. Using eMEGAsim simulator allows implementing the command and control strategy of a single-phase voltage source inverter. At this stage, the real-time behavior of operation is monitored, because the voltage source inverter will be the part of a single-phase shunt active filter. In order to command and control the voltage source inverter, the current and voltage signals are acquired, since these signals are necessary to estimate reference signal. Extension of the Instantaneous Reactive Power Theorem is used because this theorem is suitable for single-phase active filter control. To test the real-time command and control strategy implemented, it was used a low power single-phase voltage source inverter (full bridge). D. D. Micu, A. C. Pop, A. Ceclan, E. Simion, "Power Factor Correction, Controlling Voltage Distortion," Journal of Electrical and Electronics Engineering, vol. 1, no.1, pp. 85-89, 2008. R. Pentiuc, G. Baluta, C. Popa, et al, "Calculation of Reactances for Ring Windings to Toroidal Inductors of Hybrid Induction Machine," Advances in Electrical and Computer Engineering, vol. 9, no. 2, pp. 70-74, 2009. S. Stefanescu, M. Chindris, A. Sudria, A. Cziker, "Analysis and Comparison between Different Methods of Current Reference Generation for Active Filters Control," in Proc. of International Conference on Renewable Energies and Power Quality, Barcelona, 2004, paper 211. Y. Komatsu, "Application of the Extension p-q Theory to a Mains-Coupled Photovoltaic System," in Proc. of the Power Conversion Conference, Osaka 2002, pp. 816-821, vol. 2. Mihaela Popescu, A. Bitoleanu, V. Suru, "Phase Coordinate System and p-q Theory Based Methods in Active Filtering Implementation," Advances in Electrical and Computer Engineering, vol. 13, no. 1, pp. 69-74, 2013. M. Routimo, M. Salo, H. Tuusa, "A Novel Control Method for Wideband Harmonic Compensation," in Proc. of the Fifth International Conference on Power Electronics and Drive Systems, 2003, pp. 799-804, vol. 1. P. Wisutmetheekorn, V. Chunkag, "DSP Based Control Implementation of an AC/DC Converter with Improved Input Current Distortion." Advances in Electrical and Computer Engineering, vol. 11, no. 2, pp. 87-94, 2011. B. Dobrucky, H. Kim, V. Racek, M. Roch, M. Pokorny, "Single-Phase Power Active Filter and Compensator using Instantaneous Reactive Power Method," in Proc. of the Power Conversion Conference, Osaka, 2002, pp. 167-171, vol 1. L.P. Ling N.A. Azli, "SVM Based Hysteresis Current Controller for a Three Phase Active Power Filter," in Proc. of the Power and Energy Conference, Kuala Lumpur, 2004, pp. 132-136. H. Tedjini, Y. Meslem, M. Rahli, B. Berbaoui, "Shunt Active Filter in Damping Harmonics Propagation," Advances in Electrical and Computer Engineering, vol. 10, no. 3, pp. 108-113, 2010. A. Ajami, S. H. Hosseini, "Implementation of a Novel Control Strategy for Shunt Active Filter," ECTI Transactions on Electrical Engineering, Electronics and Communications, vol.4, no.1, pp.40-46; Feb. 2006. M. Monfrared, H. Rastegar, H.M. Kojabadi, "A Simple and Efficient Control Strategy for Four-Switch Three-Phase Power Converters," Advances in Electrical and Computer Engineering, vol. 10, no. 1, pp. 54-58, 2010. K. Nishida, M. Rukonuzzman, M. Nakaoka, "Advanced Current Control Implementation with Robust Deadbeat Algorithm for Shunt Single-Phase Voltage-Source Type Active Power Filter," in IEE Proc. - Electric Power Applications, vol. 151, no. 3, pp. 283-288, 2004. K. Nishida, Y. Konishi, M. Nakaoka, "Current Control Implementation with Deadbeat Algorithm for Three-Phase Current-Source Active Power Filter," in IEE Proc. - Electric Power Applications, vol. 149, no. 4, pp. 275-282, 2002. M. Norman, A. Ahsanul, M. Senan, H. Hashim, "Review of Control Strategies for Power Quality Conditioners," in Proc. of the Power and Energy Conference, Kuala Lumpur, 2004, pp. 109-115. 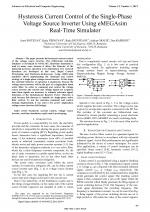 D. H. Chen, S. J. Xie, "Review of Control Strategies Applied to Active Power Filters," in Proc. of the IEEE International Conference on Electric Utility Deregulation, Restructuring and Power Technologies, Hong Kong, April 2004, pp. 666-670, vol 2. S. Rahmani, N. Mendalek, K. Al-Haddad, "Experimental Design of a Nonlinear Control Technique for Three-Phase Shunt Active Power Filter," IEEE Trans. on Industrial Electronics, vol. 57, no. 10, pp. 3364-3375, Oct. 2010. M. A. M. Radzi, N. A. Rahim, "Neural Network and Bandless Hysteresis Approach to Control Switched Capacitor Active Power Filter for Reduction of Harmonics," IEEE Trans. on Industrial Electronics, vol. 56, no. 5, pp. 1477-1484, May 2009. M. Cirrincione, M. Pucci, G. Vitale, A. Miraoui, "Current Harmonic Compensation by a Single-Phase Shunt Active Power Filter Controlled by Adaptive Neural Filtering," IEEE Trans. on Industrial Electronics, vol. 56, no. 8, pp. 3128-3143, August 2009. M. Cirrincione, M. Pucci, G. Vitale, "A Single-Phase DG Generation Unit With Shunt Active Power Filter Capability by Adaptive Neural Filtering," IEEE Trans. on Industrial Electronics, vol. 55, no. 5, pp. 2093-2110, May 2008. Z. Salam, T. P. Cheng, A. Jusoh, "Harmonics Mitigation Using Active Power Filter: A Technological Review," ELEKTRIKA, vol. 8, no. 2, pp. 17-26, 2006. P. C. Tan, A. Jusoh, Z. Salam, "A Single-Phase Hybrid Active Power Filter Connected to a Photovoltaic Array," in Proc. of the 3rd IET International Conference on Power Electronics, Machines and Drives, Dublin, 2006, pp. 85-89. S. Stefanescu, M. Chindris, R. Tirnovan, "Control Strategies of Current Reference Generation for Active Power Filtering," in Proc. of the 6th International Conference on Technical Informatics, Timisoara, 2004, pp. 181-186. H. Akagi, "New Trends in Active Filters for Power Conditioning," IEEE Trans. on Industry Applications, vol. 32, no.6, pp. 1312-1322, 1996. L. S. Czarnecki, "Instantaneous Reactive Power p-q Theory and Power Properties of Three-phase Systems," IEEE Trans. on Power Delivery, vol. 21, no 1, pp. 362-367, Jan. 2006. M. Depenbrock, V. Staudt, H. Wrede, "Concerning Instantaneous Power Compensation in Three-phase Systems by using p-q-r Theory," IEEE Trans. on Power Electronics, vol. 19, no. 4, pp. 1151-1152, July 2004. 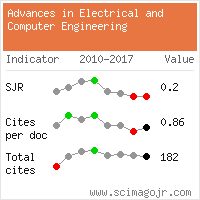 Citations for references updated on 2019-04-22 04:57 in 160 seconds.